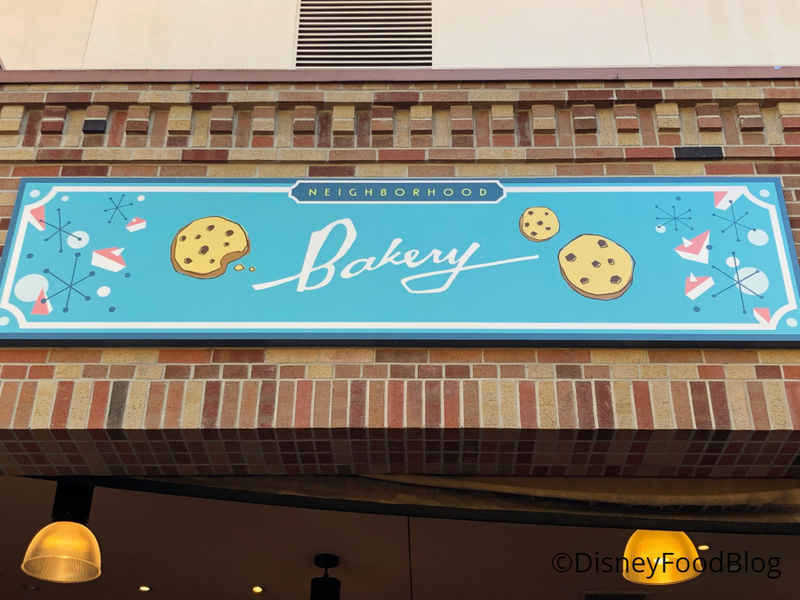 Neighborhood Bakery is the spot to pick up snacks and drinks while visiting Pixar Place. We loved the themed eats and drinks here, including the Mask Pretzel with Cheese and the Secret Identity! 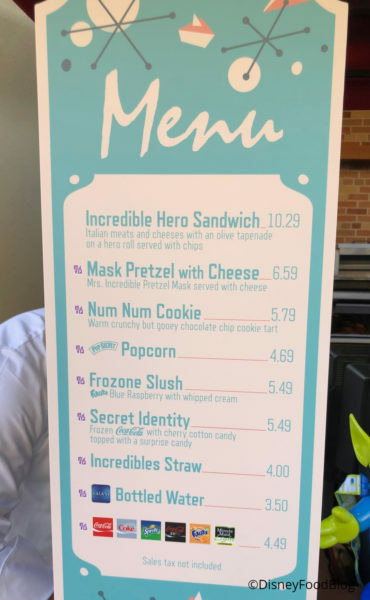 But we were super excited to find Cookie Num Nums like the ones we tried in Disneyland’s Pixar Pier! 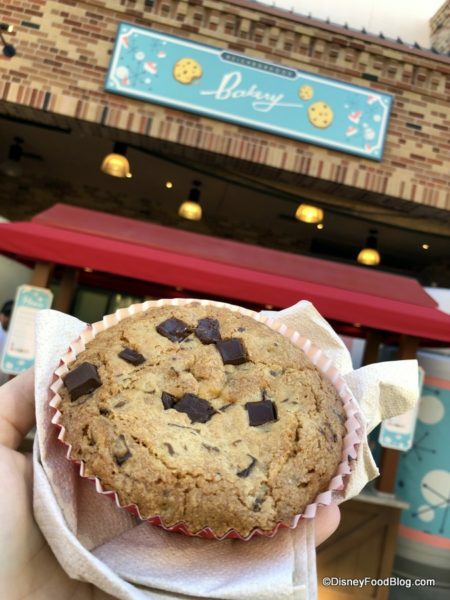 Cookie Num Nums for. the. win! 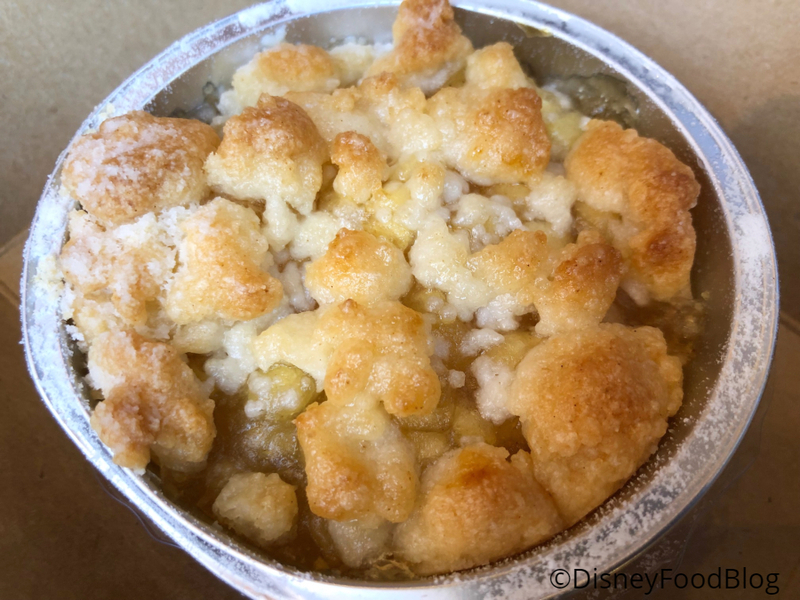 And now we’ve dug into another classic comfort dessert: Apple Cobbler! Even at first glance you can tell this cobbler is wonderfully cobbler-y. Look at that crunchy sweet topping! There’s so much to love here. This is a sugary, buttery cobbler, and it’s baked well so that the top is golden brown and crunchy while the underside melds great with the apple filling. The filling is small diced apples in a thick sauce. It’s reminiscent of apple pie filling from a can, which is to say it’s consistently goopy and delicious. No complaints here! 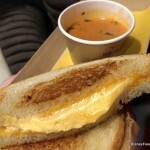 We loved this one! 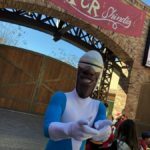 And it’s a delicious fuel for all the fun that’s happening in Pixar Place — including character meet-and-greets with Edna Mode and the monsters from Monsters, Inc., and The Super Shindig dance party with Frozone and Mrs. and Mr. Incredible! 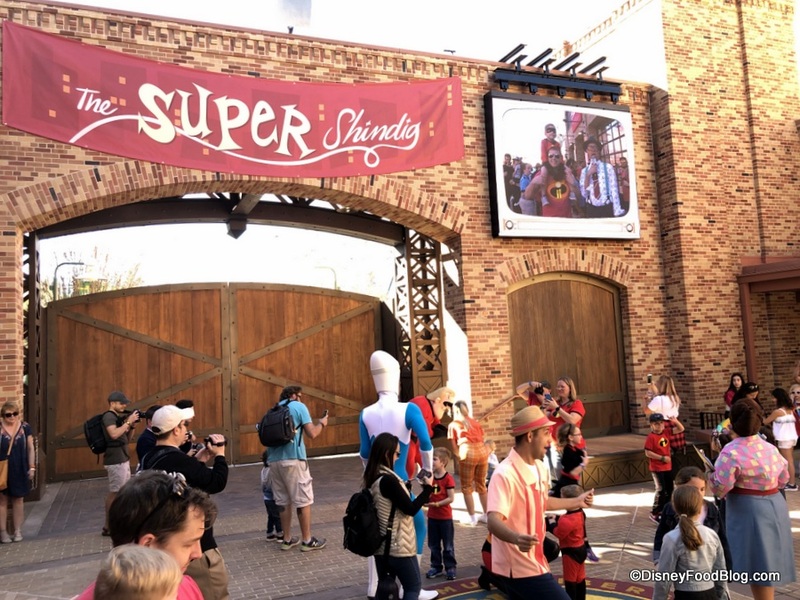 As if Toy Story Land and sneaking peeks at Star Wars: Galaxy’s Edge weren’t reason enough to go to Disney’s Hollywood Studios, now we’ve got this truly Incredible Celebration! Want to know the details about Mickey and Minnie’s Surprise Celebration at Magic Kingdom? 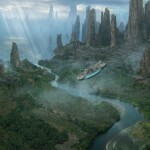 Click here for our first looks! 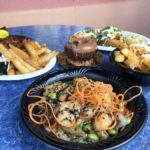 What’s your favorite part of An Incredible Celebration? Let us know in the comments! 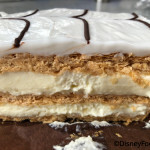 « DFB Video: 16 Must-Have Treats in Magic Kingdom! They need to offer an option to have the Apple Cobbler “Edna alaMode” with vanilla ice cream on top! What’s the filling to crust ratio? 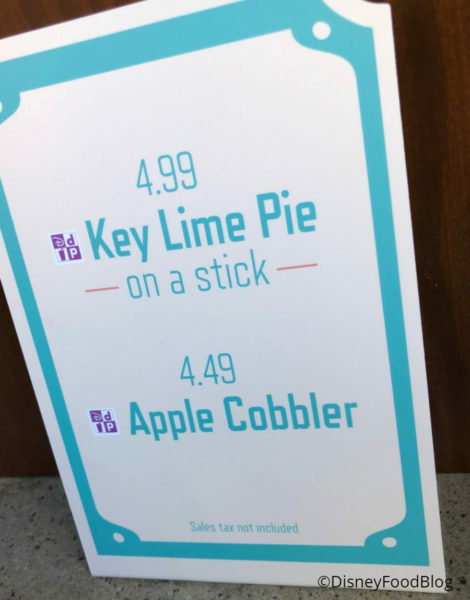 I’m definitely Team Crust! Rick, I’m with you! 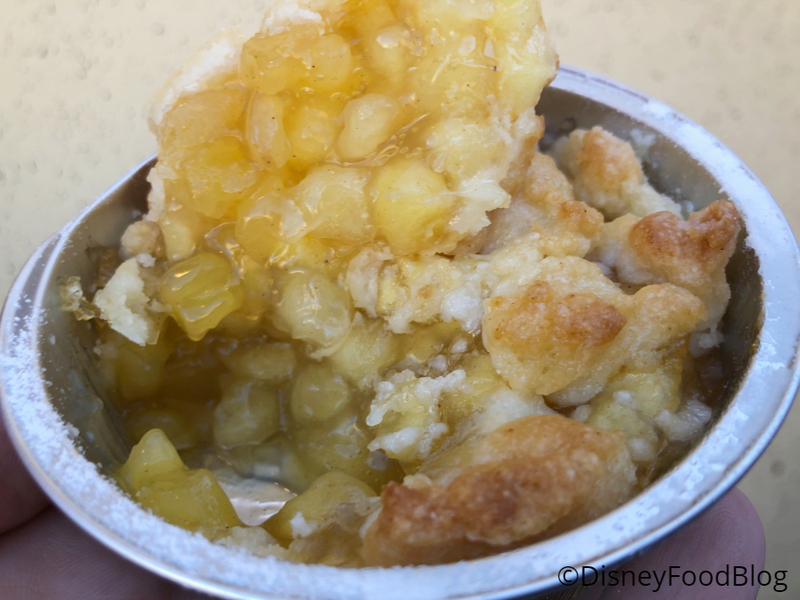 This cobbler doesn’t have a thick, uniform crust, so you definitely get more filling than crust. 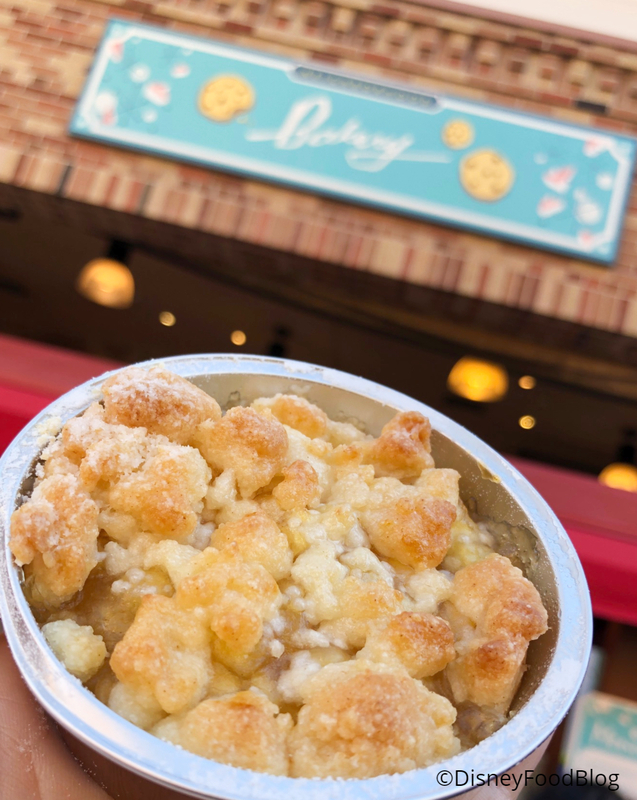 But the large clumps of cobbler topping might make up for it.